Acceptance/Appearance No. 281 comes today to Pablo Lennis #240, one of the oldest small press fanzines of science fiction, fantasy and horror out there. 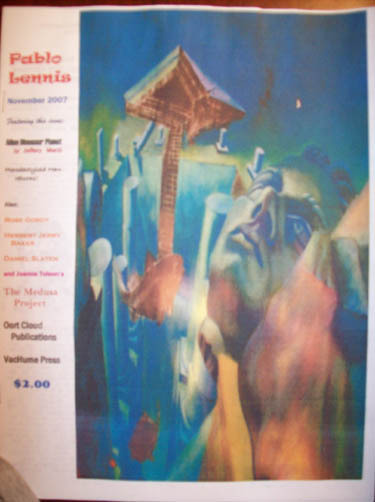 The November 2007 Issue. You can own a copy for just $2.00, they’re based in Indiana, with a tiny but decent circulation. And they’re published by Oort Cloud Publications, Vachume Press.